Why do early films present the Netherlands as a country full of canals and windmills, where people wear traditional costumes and wooden shoes, while industries and modern urban life are all but absent? 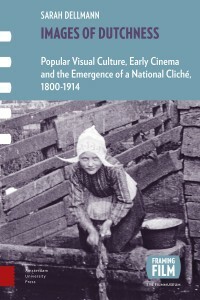 Images of Dutchness investigates the roots of this visual repertoire from diverse sources, ranging from magazines to tourist brochures, from anthropological treatises to advertising trade cards, stereoscopic photographs, picture postcards, magic lantern slide sets and films of early cinema. This richly illustrated book provides an in-depth study of the fascinating corpus of popular visual media and their written comments that are studied for the first time. Through the combined analysis of words and images, Sarah Dellmann identifies not only what has been considered “typically Dutch” in the long nineteenth century, but also provides new insights into the logic and emergence of national clichés in the Western world.